Fast spreading evergreen variety. 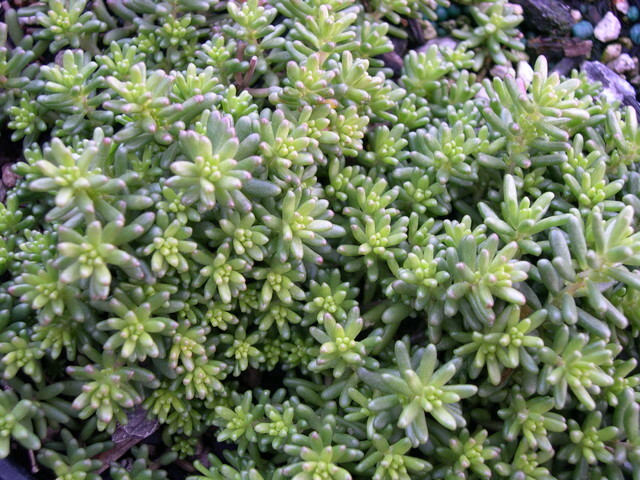 This is the most common Sedum album type found in nature. There are many forms. It can be a bit invasive. White flowers in clusters. Evergreen.